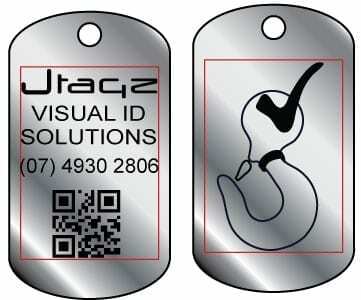 Metal Tags are the newest addition to the Jtagz® Product Range. Boasting unlimited printing options, custom shapes, sizes, and colours, our Metal Tags are guaranteed to withstand the harshest conditions. Click on Ordering Details to request a quote! Click on “Ordering Details” to request a no-obligations quote! Available in brushed and mirrored finishes. Available in matte or gloss finishes. When purchasing Metal Tags your printing options are unlimited. Contact us for a Print Proof and No-Obligations Quote. Metal Tags are marked using our Fibre Mark Laser. Using Laser Marking technologies guarantees high precision, permanent marks. 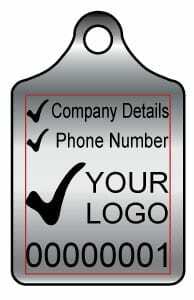 All Metal Tag orders are quoted per each job. Logo and Barcode Setup Fees may apply. Please select the type of metal you require. Please advise the colour of Anodised Aluminium required. Do you require barcodes on your Metal Tags? Please provide the type of barcode you require and the details to be encoded in the barcode. Do you require a numbering sequence on your Metal Tags? Please advise the start number for your numbering sequence. 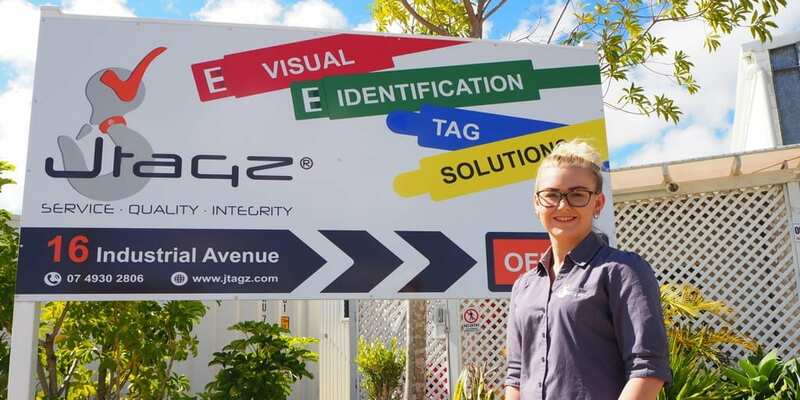 Jtagz is now offering Aluminium Signage. We can cater for full colour printed Aluminium Signs up to 3600mm x 1600mm! Suitable for Utility Vehicle Trays.